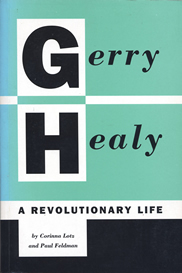 Today marks the 100th anniversary of the birth of revolutionary Marxist and political leader Gerry Healy. Healy was an outstanding leader in the British working class and the international communist movement. His political work encompassed the entire period from the revolutionary 1920s to the destruction of Stalinism in the 1980s. Healy’s struggle to place the theory and practice of Marxist dialectics at the heart of revolutionary organisation has great significance for political practice in today’s rapidly-changing world. Born in Ireland under British rule in 1913, he came to England as a teenager and joined the Communist Party whilst working as a radio operator in the merchant navy. After his expulsion from the party in 1936 for challenging the Soviet Union’s duplicitous role in the Spanish Civil War, he came into contact with Trotskyists and subsequently joined the Militant Group. He helped found the Workers International League (WIL) in 1937, and in 1944, the Revolutionary Communist Party. The RCP, which launched the monthly Socialist Outlook in 1948, was dissolved a year later and Healy joined the group that decided to work inside the British Labour Party. In November 1953, the newly-formed International Committee of the Fourth International (ICFI), which represented Trotskyist organisations in several countries, elected him as its leader. Healy worked intensively to win members from the British Communist Party after Khrushchev’s 20th Party Congress revelations in 1956 and the invasion of Hungary by the Red Army in the same year. In 1959, Healy became national secretary of the newly-formed Socialist Labour League, British section of the ICFI. Healy seized upon the publication in English in 1961 of Lenin’s Philosophical Notebooks. He began an extensive study of them which he continued until his death. With the support of Michael and Tony Banda, Healy led the campaign for a daily newspaper, which was launched as the Workers Press in 1969, and worked to transform the SLL into the Workers Revolutionary Party in 1973. During the 1970s, Healy oversaw the expansion of New Park Publications into a major publisher of Trotskyist, Marxist and anti-Stalinist literature. He established an alliance with the Palestine Liberation Organisation and met with Palestinian leaders Yasser Arafat and Abu Jihad on several occasions. During this period, Healy oversaw the publication of the seven-volume history Trotskyism versus Revisionism which was edited by Cliff Slaughter. He took classes on materialist dialectics in London and at the party’s education college in Derbyshire. His Studies in Dialectical Materialism were published in 1982. These covered in some detail the arguments in Lenin’s Materialism and Empirio-criticism. Healy championed the work of Soviet philosopher Evald Ilyenkov and organised the translation and publication in English of Leninist Dialectics and the Metaphysics of Positivism. Healy was regarded as a controversial figure in the Trotskyist movement. His unyielding commitment to democratic centralism and insistence on theoretical training led to many attacks on his approach, in Britain and internationally. Intense struggles and differences built up on the issues of philosophy and party-building internationally and within the WRP. These broke out into open conflict at the end of the 1984-5 British miners’ strike for jobs which ended with a return to work without a deal. In the bitter disappointment that followed the miners’ strike, a number of Healy’s close comrades carried out a scurrilous witch-hunt against the veteran leader, using the capitalist press to make lurid and unfounded allegations. This was seized upon by the movement’s enemies and the WRP and the ICFI broke up. Ken Livingstone, the former Mayor of London, in his introduction to Gerry Healy: a revolutionary life, says he is convinced that the secret state played a role in events that precipitated the split in the WRP. The biography tackles this question in some detail and shows how the party was destabilised financially before the explosion in the organisation. Healy joined the re-formed WRP led by Sheila Torrance and supported by the editorial board of the party’s daily paper, the News Line. But he was soon sidelined and in 1988 helped to create the Marxist Party alongside Corin and Vanessa Redgrave. He continued his work on philosophy for the party’s magazine and these articles were republished as Materialist Dialectics and the Political Revolution in 1990. 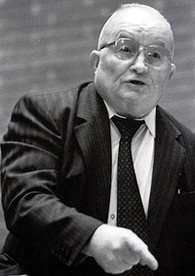 A supporter of perestroika and glasnost, Healy made several trips to the Soviet Union to campaign for the rehabilitation of Trotsky and the opening of historical archives. He won support in Moscow for a symposium on Soviet history. The event held in England after his death in December 1989 was attended by prominent Soviet scholars and oppositionists, who delivered papers on Stalinism, Marxism and Trotsky. His ashes are interred in Highgate Cemetery, London.